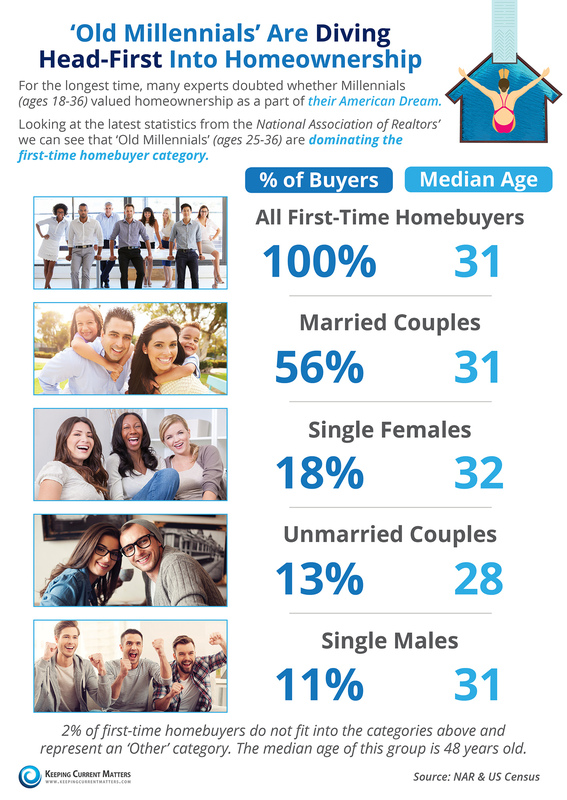 Who is dominating the first-time homebuyer category? Check out these statistics! People ages 25-36 “Old Milennials” are grabbing most of the market! Are you in this market and looking to purchase your first dream home?